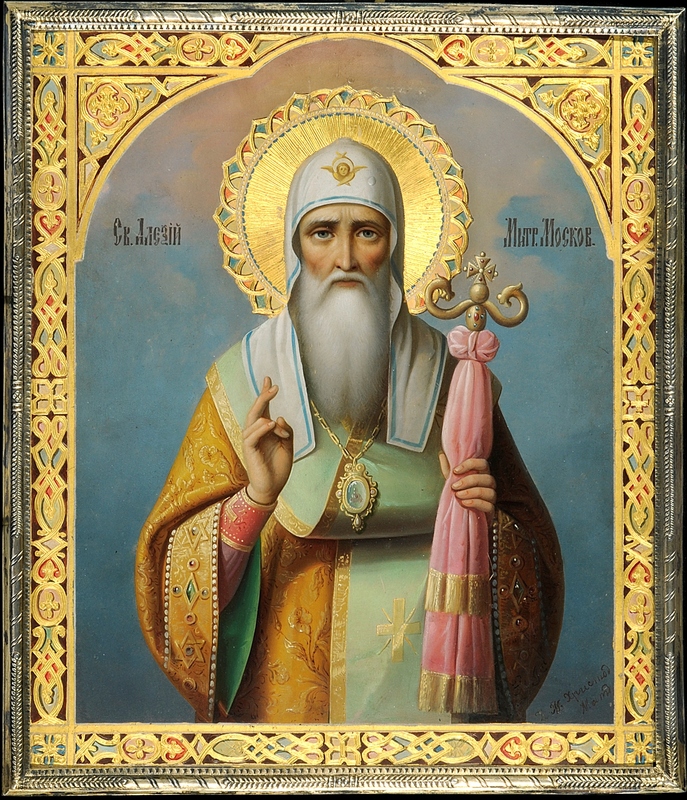 This is a very special showing of sixty important Russian and Greek Icons dating from the 16th – 19th centuries. Most of the icons on show come from private collections and they range from the small icons made for private devotion to large panels from iconostasis (the screen or wall, decorated with paintings and icons that, in a similar manner to the choir screens in English churches, separates the sanctuary from the nave in orthodox churches). There is also a complete travelling iconostasis. One of the highlights is a Russian icon that was a gift to the Tsarevich Aleksei (1904-1918) only shortly after it had been discovered that he was a haemophiliac. Given in October 1904 on his first name day its Cyrillic inscription on the reverse reads This icon is presented on the first saint’s day to His Imperial Highness, the Heir Tsarevich and Grand Duke Aleksei Nicholaevich, and to commemorate the blessed foundation on this day of a church named for St Aleksei, Metropolitan of Moscow, in the Andrew Skete on Mount Athos, October 5th, 1904, St Petersburg – Painted and blessed on the Holy Mount Athos. This entry was posted in Russian Art, Visual Arts, Works of Art and tagged Greek Icons, Russian icons. ← The Aston Martin Centenary Art Exhibition, 22nd – 29th November.